Looking for reliable and affordable Computer Repairs, Services and Help in the Kanwal area? Geekmobile is a Friendly, experienced Computer Repair company operating at Kanwal. Our Technicians are of the highest standard and we fully cover Kanwal and the surrounding suburbs including Wyong, Wyee Point, Wyee, Summerland Point, Mannering Park, Lake Munmorah, Bushells Ridge, Watanobbi, Tacoma South, Ravensdale, Lemon Tree, Freemans, Cedar Brush Creek, Moonee, Dooralong, Chain Valley Bay, Wyong Creek, Wybung, Tuggerawong, Kiar, Warnervale, Gwandalan, Crangan Bay, Point Wolstoncroft, Mardi, Little Jilliby and Durren Durren just to name a few! Kanwal is serviced by the techs based in these suburbs and surrounding areas: Lloyd (Mardi), Noel (Mardi) and Tracey (Gwandalan). 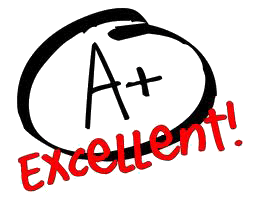 "I found your service friendly, very fast and efficient and will definitely call on you again. I have already recommended you to friends. Anne Draper"